Skye, Obert. Good. 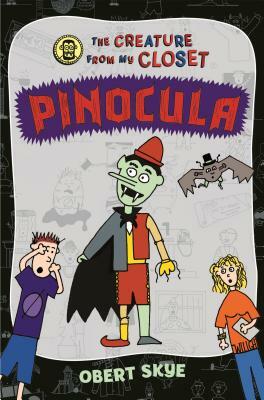 Pinocula (Creature from My Closet (Hardcover)) by Skye, Obert, 2013-09-24. Sewn binding. Paper over boards. 244 p. Contains: Line drawings, color. Creature from My Closet (Hardcover), 3. Intended for a juvenile audience. Very good. A well-cared-for item that has seen limited use but remains in great condition. The item is complete, unmarked, and undamaged, but may show some limited signs of wear. Item works perfectly. Pages are intact and not marred by notes or highlighting. The spine is undamaged.